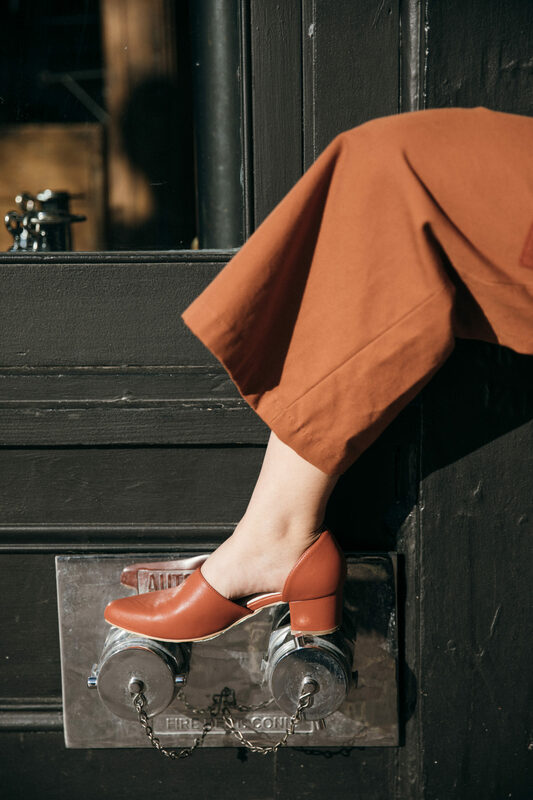 A fall trend that I’ve been looking forward to this year is the tonal outfit style. What is a tonal outfit? It’s simply an outfit that consists of the same tones in the colour spectrum. I personally feel like it’s a great way to create a minimal look while wearing colour and allows you to play with textures and patterns in a way you normally wouldn’t. Each season, your favourite brands are creating collections using the same colours and tones that are dictated for that season. This makes it very easy to look for a tonal outfit in different stores, using items from different brands. 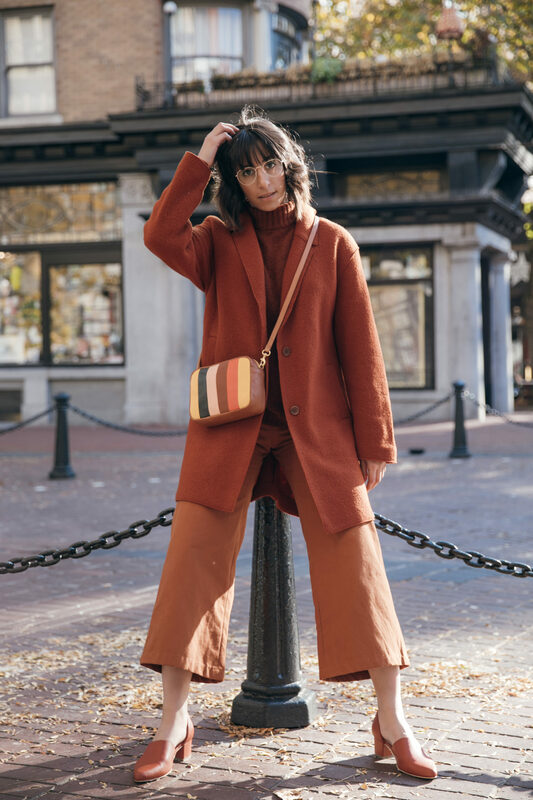 This entire look was found at Vancouver boutique Still Life, but you can find the “rust” tone in most retailers. 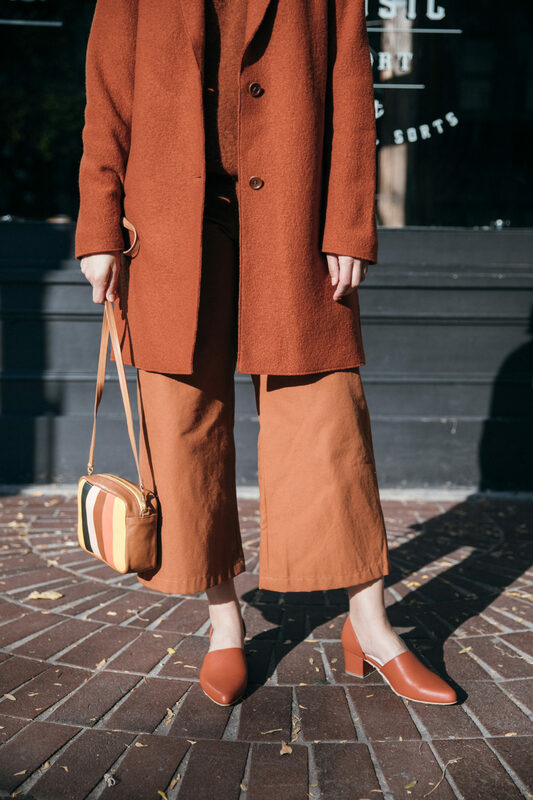 Below are a few examples from Pinterest of tonal outfits in red, yellow and green and tips on how to achieve the perfect tonal outfit. Choose a colour that compliments your skin tone and hair colour. I prefer wearing lighter shades for dark hair and the reverse for lighter hair. When choosing a colour story, become dedicated to it and don’t be afraid to mix different shades. We began with the lighter pants and brought in the darker shades to break up the pieces. Add accessories that pull from different colours of your overall look. 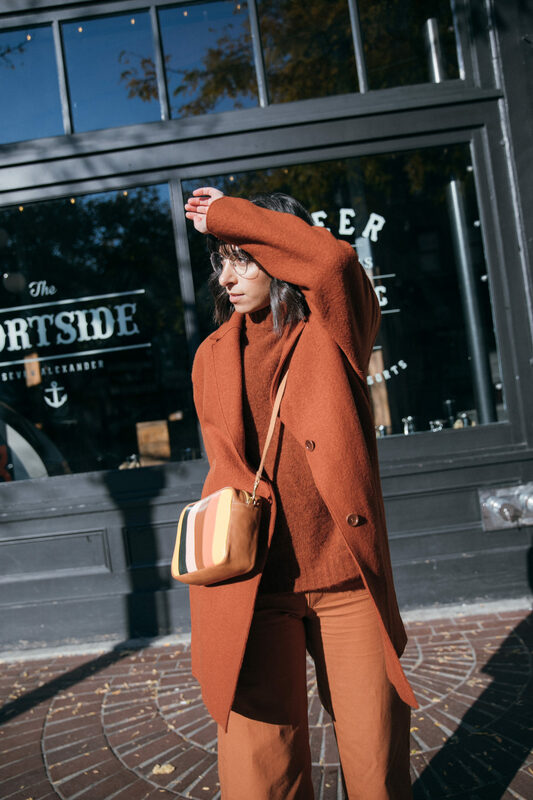 In the first image, she’s wearing a black bag that compliments her black sunglasses and in my look, we chose a bag that included rust but also included other fall shades to add an interesting focal point. Add shine with glasses or hardware. This will allow the outfit to look less flat. Play with textures to break up the individual pieces. This will create a more interesting look, overall. I had a lot of fun creating this outfit with Joshua Langston and adding in the 70’s vibe glasses just put the look over the top! You can get my glasses (and 1 more for free!) using my Cyber Week BOGO promo code “RANDABOGO” at Clearly. 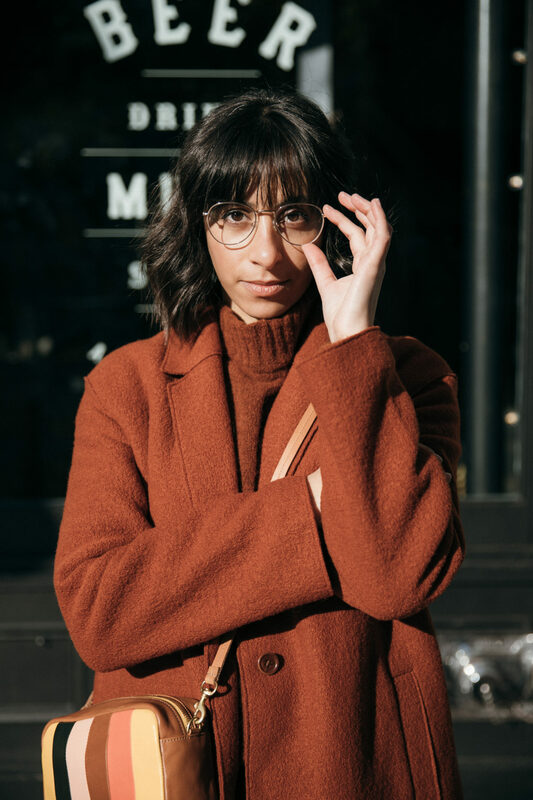 Click here to see the second pair that I choose with tips on how to choose the right glasses for your face shape. All clothing and accessories (minus the glasses) from Still Life in Vancouver. Fashion photography by Michelle Proctor.